Lool.. in this era of change wey people dey vex. 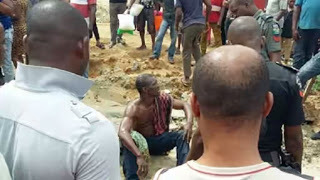 A 42-year-old man, whose identity was given simply as Ishaku, was on Monday beaten to coma and tied to an electric pole for allegedly attempting to steal a ram at Unguwar Tumbu, Madalla, in Niger State. It was gathered that the suspect was caught while trying to escape with the ram, after he untied it from a tree where it was feeding, near the owner’s house. Daily Trust quoted a resident as saying that the suspect was taking the ram away when he was accosted by some neighbours who raised an alarm. The resident said the suspect was tortured by an angry crowd, after which he was tied to an electric pole. The timely intervention of members of the vigilante group in the area saved the man from being lynched.